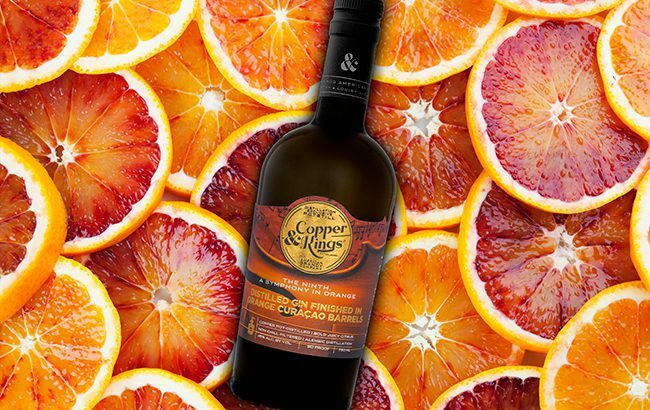 Louisville distillery Copper & Kings has released two brandy-based gins: floral The History of Lovers and The Ninth, which has been finished in orange curaçao barrels. 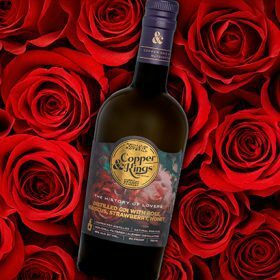 To make The History of Lovers expression, crushed whole juniper berries are mixed with rose hips, rose water, honey, sweet orange, tangerine, lime and pink grapefruit peels, alongside jasmine, lavender petals, coriander, pink peppercorns and liquorice root, which are then macerated in apple brandy low-wines. The botanicals are then redistilled with vapour-distilled rose hips, pink grapefruit peels and lavender. A flash post distillation maceration of rose hips, hibiscus, hibiscus tincture and strawberry juice concentrate is then added for “colour and perfume”. an apple brandy low-wine. These are then redistilled with vapour-distilled Seville blood orange peels, sweet orange peels and jasmine. The gin is then finished in Destillaré Intense Orange Curaçao barrels, a Copper & Kings-owned brand. Brandon O’Daniel, master distiller, said: “It’s a bold, sun-soaked warm orange gin. Juice, orange flesh, marmalade, crisp and not sweet with a touch of tart. Hints of exotic spice. Both expressions have been bottled at 45% abv, and are available across the US and from the distillery at an RRP of US$35 per 750ml. Joe Heron, Copper & Kings founder, said: “We don’t do ‘Barbie’ gins and we don’t do gin-flavoured vodka. We make extraordinary gin for grown-ups with sophisticated palates, distinctive and differentiated.